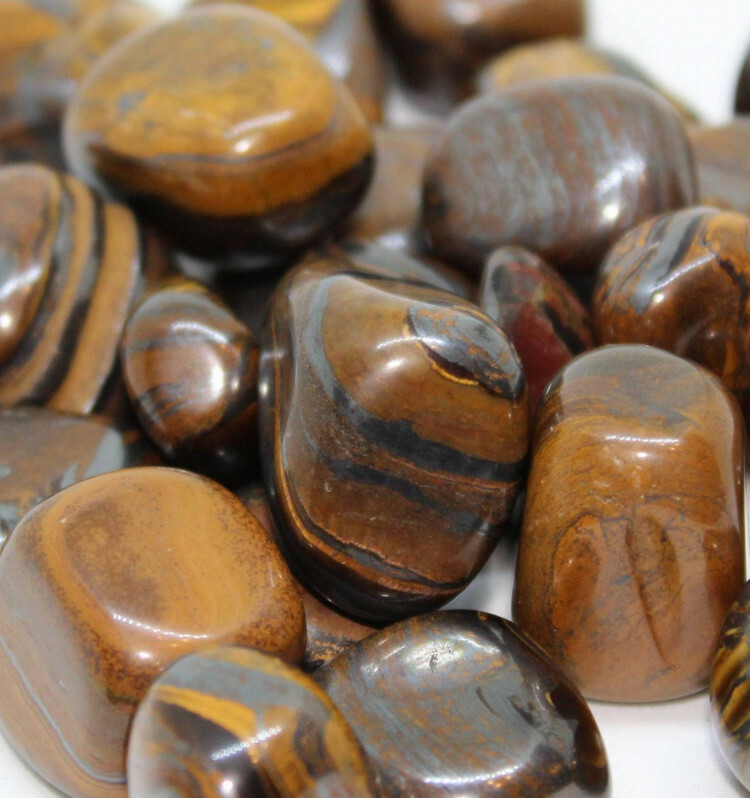 Tumbled Tiger Iron pieces, available in three different sizes. 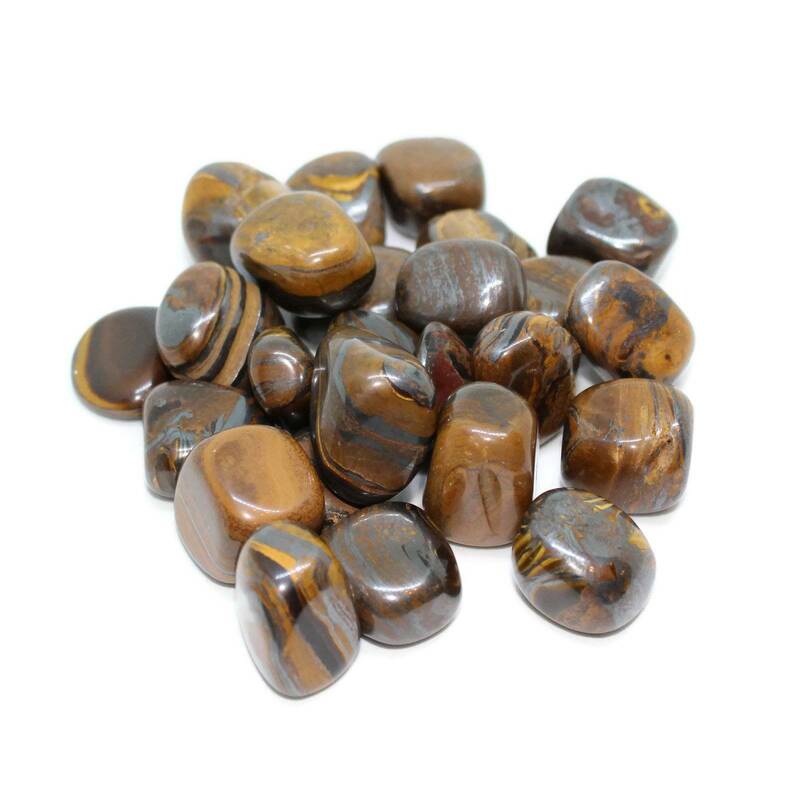 These interesting Tiger Iron tumblestones are sold in three different sizes. 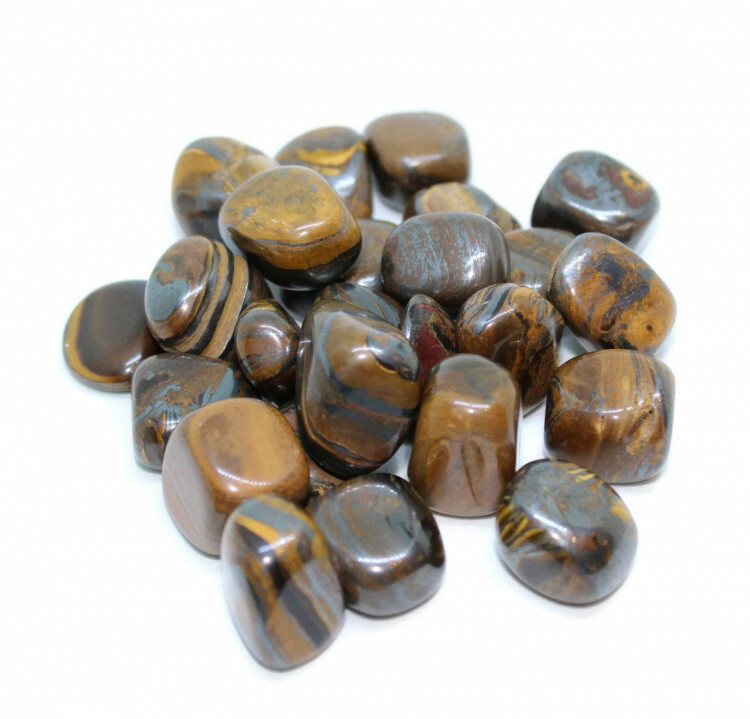 They are, as you can probably tell, very similar to Golden Tigers Eye. The key difference is that these stones contain bands of Iron, usually Hematite or Magnetite. They make an interesting display object in a vase, flowerpot, or a small dish. They should not be used as fishtank or aquarium gravel, as they do contain Iron, either in the form of Hematite or Magnetite. We sell a range of other Tiger Iron pieces, usually in polished form. For more information about the stone, and a full list of our products, please see our main ‘Tiger Iron’ page.